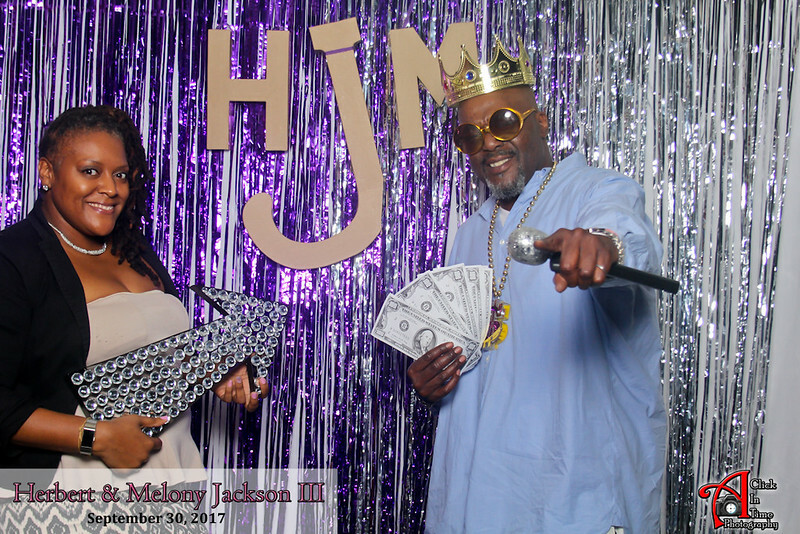 Herbert & Melony Jackson III - A Click In Time Photo Booth! A Click In Time Photo Booth! Photo booth Wedding Photos from Melony & Herbert Jackson III's Wedding on September 30, 2017 is now up and online!. Click on image to enlarge your favorite photos and then right-click to save or download any of your favorites for FREE! You can also share to Facebook, Google+, Tweet, or email the image by clicking the little box with arrow underneath the photo and clicking on what you want!. Thank You and share with all your friends and family! !